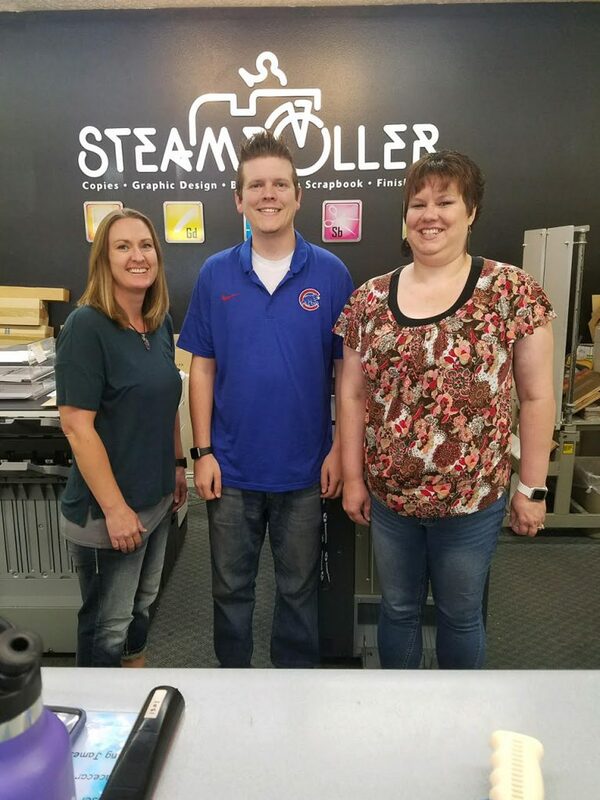 HURRICANE — The Hurricane Valley Chamber of Commerce is pleased to announce Hurricane’s Steamroller Copies as the September Business Member of the Month. Steamroller Copies purchased two production copiers in 1993 and haven’t looked back since. They have the largest digital output capacity in Southern Utah. Recently investing in the latest digital technology, they are able to produce the highest quality copied product anywhere in the world. Hurricane office manager, Jan Tucker and her staff serve the valley in a friendly, professional manner, offering personalized assistance to their customers. Their exemplary customer service is just one of the many reasons they were chosen to receive the recognition of Business Member of the Month. Hurricane’s Steamroller Copies is and has always been a generous supporter of many area organizations and events. In addition to offering color and black and white copies, Steamroller Copies also offers services like sign printing, fabric and vinyl banner printing, wedding invitations, digital blueprint printing, and more. They understand that perfection in printing is essential to a good project. Whether a novus at the copy machine or a techno savvy student, the staff at Hurricane’s Steamroller are always happy to assist you in creating a product you can be proud of. They are located at 690 South State Street and are there to provide quick and efficient service. The Hurricane Valley Chamber of Commerce hopes you will join them in offering Hurricane’s Steamroller Copies a sincere “Congratulations“ for being awarded Business Member of the Month.